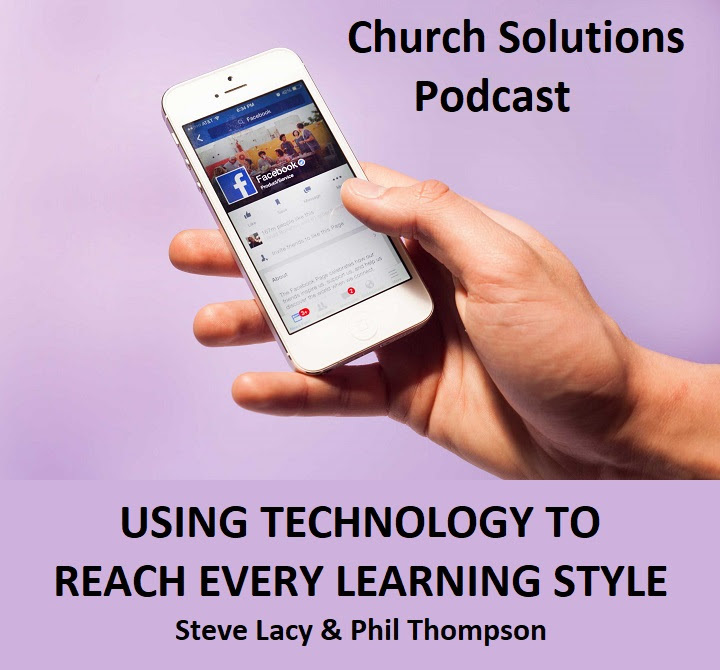 Are You Using Tech To Reach Every Learning Style at Church? 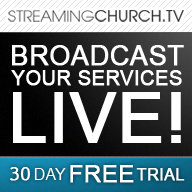 We provide streaming video, mobile apps and website/church management tools! Many churches struggle with how to present sermon material to their congregation so that ideas “stick” and make a difference. You can improve the stickiness of your message by understanding learning styles and using technology to deliver information that matches how people best learn. Listen in iTunes or your favorite podcast provider or click image or listen on YouTube. See notes below. The majority of what you present is communicated verbally – even if you use videos or slides. These verbal presentations are ideal for the people in your congregation who learn best by hearing. What about effectively reaching those with different learning modalities? What about those who are visual learners or those who learn best through reading and independent study? VARK is an acronym for Visual, Auditory, Reading, and Kinesthetic. This acronym describes the four main types of learning styles. A learning style is a method people use to process and absorb information. Given that everyone in your congregation has a preferred learning style, delivering information that covers each is important if you want to reach as many people as possible. How is this technology going to improve the learning process? What specific learning style does this technology help improve? The answers will also help you build a balanced collection of technology that supports all learning styles. Given the four basic learning styles, let’s look at a few current technologies and how you could use them. Good wireless Internet access for mobile devices is a gateway that allows your congregation to learn using the styles and resources they are most comfortable with. For example, wireless Internet access enables your congregation to use online Bible study tools to view different versions of the Bible side-by-side. They could also use apps to take notes and “attach them” to specific verses. This can help reinforce the material you present. For many younger people, taking notes online using cloud services such as Evernote or OneNote is part of how they are learning in school. Without wireless access, these applications are not usable and learning may be severely affected. For many learners, real learning (the type that sticks) takes place when they are studying on their own, in their own space, with their own tools. Your teaching provides these learners with a starting point to engage in further learning where reading enhances what is presented in your sermon. You can support these types of learners by creating an online resource library.An online resource library can extend the reach of your teaching while it supports those who learn best by reading. Your resource library also can be used to provide material for small group discussions. Did you use videos during your sermon to make a point? Did you present any maps? Post them in the online library. These are items that your visual learners will appreciate. The same principle applies to your sermon notes and videos of your sermons. Did you recommend specific books as additional reading? Create links to purchase the books as part of the library. Organize your resource library so it follows the outline of your sermon and can be used as an enrichment resource. Tag each entry in the library with the subject, name of the speaker, and verse references so each entry can be used as a subject or topic resource later on. One effective use of resource libraries (especially for auditory or visual learners) is to use them to host supplemental videos. These short videos or podcasts cover topics you may not have had enough time to address in your sermons. Creating and producing these videos doesn’t have to be complicated. You could record “fireside chats” in your office that are at the quality acceptable for Vimeo or YouTube. You can take the audio tracks of these talks and post them as podcasts for those learners who prefer audio presentations or for those who prefer to learn while mobile. Small group leaders could also use these audio and verbal learning experiences in small group curriculum as discussion starters. Often, as a result of sermons that deal with difficult or sensitive topics, people have a lot of questions. You could use a blog with comments enabled or offer web-based chats. These provide people a chance to ask questions that may have come up after the sermon. It also enables them to post questions and read answers submitted by others. Blogs and chats can be used to create informal groups of people who learn from each other — not just from the teacher. 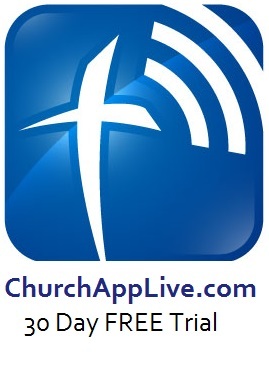 How about a “live chat with the pastor” session via Facebook Live that allows people to submit questions and receive answers from the pastor? You might consider hosting these sessions in the evening, outside of work hours, so more people can participate. Texting is an easy way to get links and other information to your congregation either before a series starts (imagine that people have actually read an ‘assignment’ before your sermon series starts) or as during a series as topics are covered. Technology and teaching are sometimes presented at opposite ends of the spectrum. This can lead to an attitude that technology is a necessary evil and that if it’s beyond sound and lights, it’s too complicated. It doesn’t have to be that way. The job of anyone preaching the Word to our congregations is to preach in the best way possible. Instead of considering technology as something expensive and difficult, look at technology as a tool that will help you more effectively deliver your message and accommodate different learning styles. That’s how you deliver learning that lasts well beyond the one hour or so that you have face to face interaction with your entire congregation. We have many years of experience working with churches and ministries and we can do almost anything to meet your online needs. Call or email us and we will help you accomplish your goals! We have the best support in the industry. We prove it everyday by providing support 7 days a week and especially on Sunday morning. Contact us via email,chat or call us toll free and we'll partner with you to solve any problem you may have. Copyright © 2018 JSL Solutions All rights reserved.